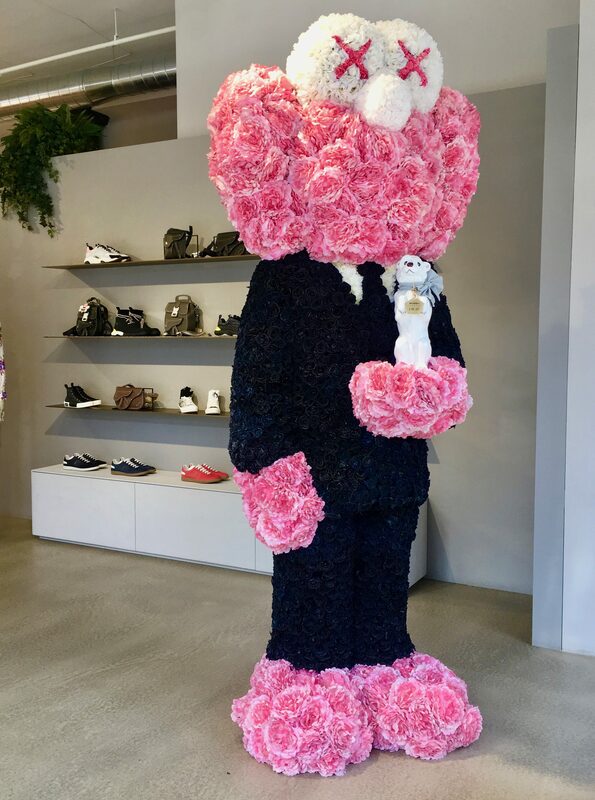 As part of its Spring/Summer 2019 line, Dior has partnered with artist KAWS (aka Brian Donnelly) to use a signature Dior Pink version of the iconic BFF figure in a variety of store promotions and campaigns. 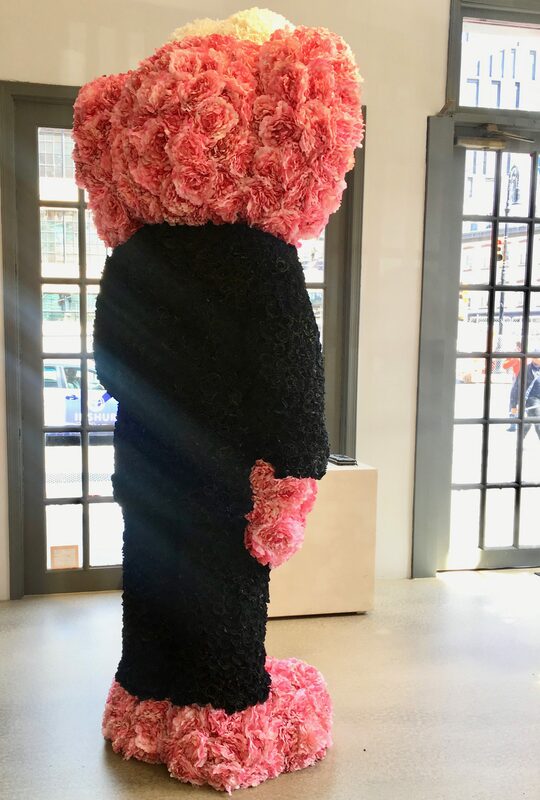 I spotted this guy — who is about 8-feet tall, suited up in a sharp Dior suit, with hands, shoes and head made from tufts of pink roses (which are actually paper facsimiles) — in the front window of the Dior shop at the corner of West 14th Street and 9th Avenue in NYC’s Meatpacking District. Dior is also selling a plush toy of the instantly-iconic BFF identical to the one seen here, albeit on a much smaller scale. The toys are a limited edition, and carry a price tag of $7,500 (not a misprint) each. That is, of course, if you can still find one!